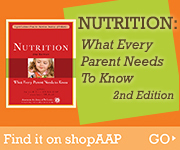 Healthy Children > Ages & Stages > Teen > Nutrition > What Makes A Vegetarian? Vegetarians differ in degree, just as they differ in their reasons for adopting a vegetarian lifestyle. Partial or semi-vegetarians avoid some but not all animal products. They may eat chicken or fish and dairy products but no meat. Some eat fish but no poultry. Lacto-ovo vegetarians eat eggs and dairy products but avoid all flesh—they avoid “food with a face;” lactovegetarians don’t eat eggs. Vegans follow a strict diet that excludes all foods derived from animals, including eggs and dairy products. Fruitarians eat only fruit, nuts and seeds, honey, whole grains, and olive oil.